Do you own a lot of heirlooms – things passed down through your family? Do you treasure them or do they weigh you down? I don’t own anything past my grandparents’ generation. On one side of the family, the only item going back more than 3 generations was a family Bible that was given to the eldest son and then grandson. I don’t have any living grandparents now. When my dad’s parents died, they shared the house with relatives who continued living there, so nothing was passed down. From my mom’s side, I am happy to have a few items. Most of them are things my grandmother gave me when we visited each other, not things I received after she died. 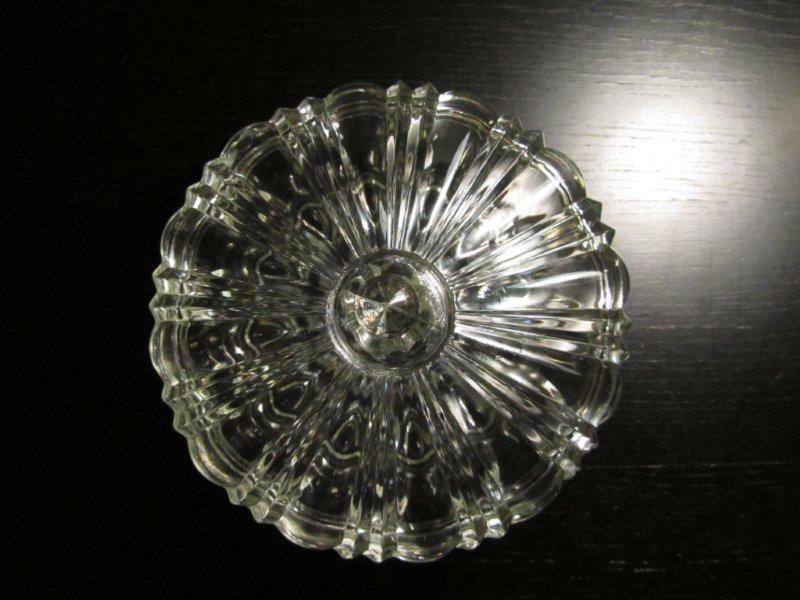 My favourite heirloom is a covered glass dish that my grandmother kept filled with peppermints. She later gave it to me for my hair clips and such. I didn’t know until years later that she had broken the lid. My other grandmother, upon hearing about this, sent a lid from the same dish: she had one, and had broken the bottom part of hers! 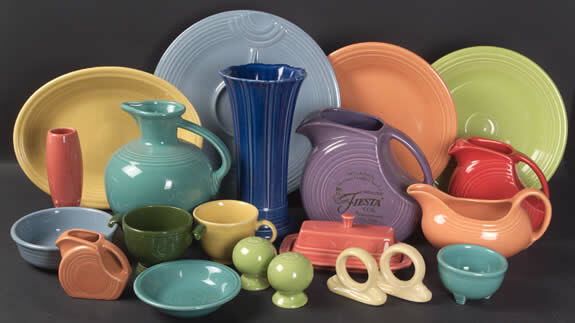 Most amusingly of all, in recent times, I saw identical dishes at a chain store called A Buck or Two, for two bucks! 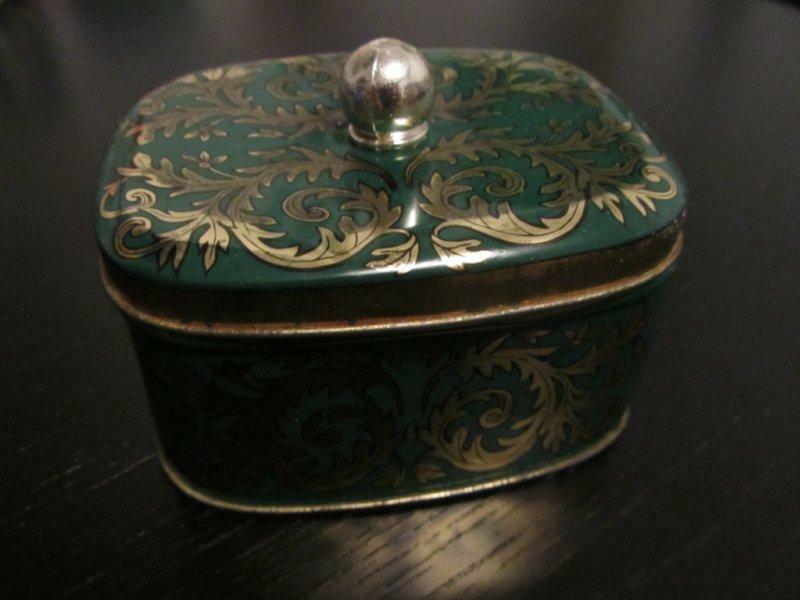 I also have a little decorated toffee tin that my grandmother threw her pennies into. She hated pennies, calling them “those deuced coppers!” and would have rejoiced at their demise this year. A couple of years ago I decided not to keep everything with sentimental value. My grandmother had made me two crocheted blankets or “afghans,” and we had made a patchwork quilt together when I was 10. But they were all literally in rags. I could have repaired them, or saved pieces, but I decided not to. I took pictures of them and let them go. I like other ways of remembering people, such as growing their favourite flowers or making one of their recipes. Recently my parents renovated their basement living area and got rid of tons of belongings that had been stored there – getting musty. They commented that they wouldn’t want us kids to have to go through them someday. I was quite affected a few years ago when a single person at work died after a long illness. Her best friend held a little estate sale and hoped that her co-workers would take home a few things to keep her memory alive. I felt sad to see her treasured Christmas tree ornaments and Star Trek novels on sale for 50c each and people pawing through them. I am currently going through my own house, taking inventory, and decluttering as I go. I can’t help but think how unattached Link is to possessions and how little would be kept of my stuff! I certainly don’t want to attach all kinds of emotion to things I own, in the hopes of guilting Link into keeping them. I am getting less sentimental over the years; I mentioned recently that I don’t display many photos, and I really don’t like the feeling of being stuck in the past. I’m not ruthless, but I’ve tried to take organization guru Peter Walsh’s advice to heart. To paraphrase, he always pointed out that if a sentimental item is in the back of a closet, how is it honouring anyone’s memory? Either display it or pass it on – your relatives would not want you to be burdened with it. Except when that’s not true. There are lots of people who do, in fact, want to burden you with their stuff, and make you keep it forever, and pass it down through more generations. How do you tell your mom that you don’t want your great-grandmother’s ceramic beagle? I’m not an extremist; I will always have sentimental items. I hope to declutter the house enough that I can display them properly. I try to place more value on experiences than on stuff. I don’t want to be one of those people/parents who is always longing for the time when their kids were babies. Now is good! I like it here. Everything that happens to me contains echoes of my ancestors. Just a little bit of physical connection through objects is enough. What do you keep – or have to keep? What will you make your kids keep? Interesting! When my grandmother dies, my grandfather asked all the girls to come around and pick what they wanted of her jewelry. I have a watch (that doesn’t work, but very pretty) and some pearl earrings i think. My grandmother on the other side gave me her piano as I’m the musical grandkid (and she was downsizing). Naturally I don’t want it, or have it in my home, it’s in my parent’s home. And I’ve said I’d sell it if I was allowed! I’d say my parents aren’t overly sentimental, but there’s some evidence to the contrary – like all the love letters between them when they had a long distance relationship! Too bad you are stuck with something as major as a piano! My parents lost a lot of stuff due to flooding (hence the basement renovation) but are otherwise not bad; they mostly keep too many of useful things! Actually my dad’s side don’t have much due to 1974 Brisbane floods. Rest assured my grandfather’s place has filled up, but nothing of great sentimental value! I was there this past weekend, and thought ‘man, there’s a lot of ‘junk’ hanging around’. Yep, I have certain family members whose house I would never want to clean out! I won’t make my children keep anything. I believe the insistence to pass certain items to specific people is the givers over attachment to their belongings. My son has my grandfathers military items from WWII that he asked for along with a few other items of use to him. I wear a ring of no real monetary value my grandfather bought for my grandmother, but that was given to me at least a decade before they passed away. I agree. I wouldn’t insist that Link keep anything particular, but I would tell the stories behind various things. I like having a sense of history, and I think that is best done by visiting relatives, and/or talking about family photos. I agree with the history of our families and the stories behind certain time periods or the things they had. On it’s so hard to ‘move on’ things – children not interested yet the thought of donating to the op shop( charity/ thrift) shop for others to enjoy is not appealing either. What would ‘they ‘ aka Granny, Aunty so and so or even Mum think if they knew. If you achieve it you are a better man than me Gunga Din !! “Everything that happens to me contains echoes of my ancestors.” I echo that sentiment. There are some physical things that I like to keep though. Like my late father’s wristwatch that has become my oversize watch, and the stone on his ring has become the pendant that I wear all the time. I suppose I am sentimental, after all. I think that choosing a few meaningful things and using or displaying them is the perfect approach. I’m very similar in inclination! I do have some sentimental items but I don’t want the house to become a museum of knick-knacks. We have a Christmas Pudding recipe from my Great-Great-Grandmother; we make it yearly with the youngest direct female descendant in the family. We also have detailed ancestry records (9,000 people – all my mum’s work!) And we have 100 year old letters from WW1 and a collection of letters from WW2. I love the idea of keeping traditions and knowledge; not so much the physical items. Exactly! I would rather plant the same kind of apple tree my grandparents had, than keep a big armoire! I have one or two things from each grandmother, but that’s about it. Your comment about your coworker reminded me of a friend who lost a long battle with cancer a few years ago. She was a musician, and one of her most treasured possessions was her CD collection. So, at the funeral they had a big table of all her CD’s and invited people to take anything they wanted as a remembrance. I thought it was nice. But seriously, the way I see it, none of us really ‘owns’ anything in the first place. We just use it while we’re here, and when we go, it goes back into the collective… hopefully anyhow, and not to a landfill! 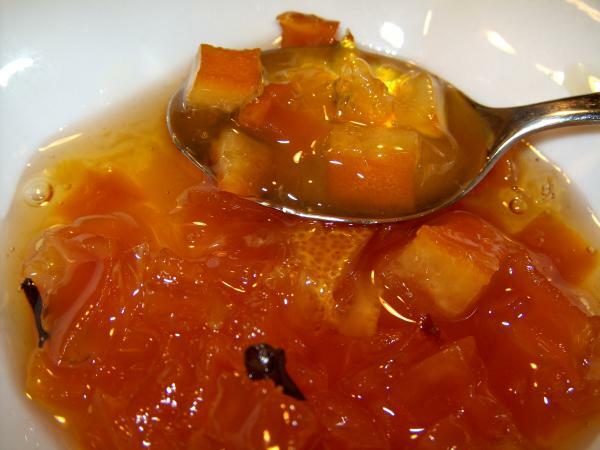 BTW… do you have the recipe for those pumpkin preserves? I have a TON of pumpkins that I’m madly trying to use up, and that looks delicious! I would not be at all offended if my stuff went to yard sales and thrift shops; it would be nice if someone could make use of it or if it could get sorted for recycling! I will email you the pumpkin preserve recipe. I have an old writing box of my grandmothers + her dried wedding flowers, but that’s it. I’m ruthless when it comes to most things. I scan any sweet handwritten things from hubby or the kids. I’m currently helping my Mum to sort through her collection of sentimental items and it’s hard in so many ways as she’s kept everything (and is also a professional shopper !!). I have boxes and boxes of written things to go through and possibly scan. I would find it hard to sort someone else’s things with them – it would be hard to watch their emotions as they realized that they can’t find a person who would value each thing they value. I have a watch that belonged to my great-grandmother (I think) that stopped working when I was a kid. I’d like to get it working again someday and use it as a “nice” watch. Three out of my four grandparents are still alive, but I don’t really think they will leave a lot of heirlooms. For one thing, there are so many grandchildren on both sides, which kind of dilutes the stuff. When I was in Melbourne recently my mum and I went to the local op (thrift) shop, and she pointed out some ramekins that my grandma had given to her and she’d donated, and obviously no one had been in a hurry to buy them because they were still there. Sometimes it’s easier to just take the thing and discreetly donate it, if you really don’t want it! Watches are a good heirloom; very appropriate that they mark the passage of time. I think donating things is a good option! I used to keep EVERYTHING but over the past few years have become a serious minimalist. Now I only have a few things, some of which are small (a Japanese poem on rice paper from a very elderly lady in Japan), some are medium sized (a box of my grandfathers books from the 1950s) and one big piece (a very nice, very ancient bookcase give to me after a friend passed away). I think it is a happy balance between having some heirlooms but not becoming a hoarder. You have been thoughtful about it and found a way that worked for you – excellent! I’m very sentimental about some things, particularly from when my boys were babies. Also I have a few special things from my grandparents which are luckily all small things. I don’t think I’ll mind my boys not wanting my things when I’m gone, I’d rather they have funny little stories etc to remember me by. I remember though, when my grandmother moved into a nursing home, we helped her clean out the house. When we were in her kitchen, I could see that she was sad no one wanted anything, so I took her two corning ware casserole dishes, mixing bowl and soup ladle. I am so pleased now that I did, every time I use them, I think fondly of her, she was an amazing cook. I recently had a conversation with my aunt about how grandma had to leave almost everything behind when she became a displaced person after WWII. The things she did manage to keep were gradually sold for food. Her silver soup ladle was one thing she managed to keep. I think most of us no nothing about having to give up everything we have in our homes. You know, I think you’re right – what is wrong with keeping a few things to help someone else feel better? As long as it doesn’t take over your house or life. I certainly don’t know much about real deprivation. Our dining table and chairs belonged to my mum’s parents; I have a glass and a weird fish vase from my dad’s parents; a slate/marble clock which is from mum’s parents house- although it goes back further than that, as my grandmother’s father was a watch/clock/jewellery maker- I also have gradmother’s engagement ring, made by her father, and will one day inherit from mum the gold cross my grandfather made for my grandmother on her 18th birthday. From mum’s dad’s side of the family we have more jewellery- not made by a family member this time though! At the moment, I have great grandmother’s wedding ring, mum has her engagement and eternity ring. We also have a few photos, and I have been tracing the family tree, which is perhaps just as good as the physical reminders! I like inherited jewellry, as it is very personal, but also mercifully small! I own very little jewellry, as I wear the same things all the time. If I have children, I’d like them to pass down the jewellry and the clock, but of course I realise I can’t really control that! There are also the non-physical inheritances- from my mum’s dad comes any pedantic tendencies I have; from mum’s mum and grandmother comes knitting. From my dad I get my inability to sleep in when it is light outside! That’s great – I love the idea of inherited tendencies – a certain side of my family is known to be quite grouchy….it’s also great that you’ve inherited things you like and value!